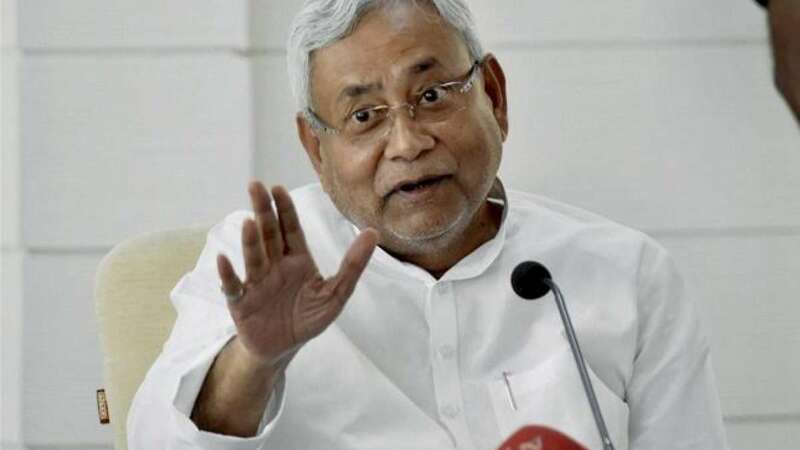 New Delhi : Bihar Chief Minister Nitish Kumar on Monday declared that he was not in the race to become the Prime Minister in the 2019 Lok Sabha election and that the state's ruling Grand Alliance was very much intact. Describing his Janata Dal-United (JD-U) as "a small party", Nitish Kumar told the media here: "Hamari party choti hai aur hum PM pad ke race mein katai shamil nahi hai." He said that he never lived in illusion. "My party is a regional party and I am not at all in the race for the post of PM." Nitish Kumar also downplayed his earlier comments holding the Congress responsible for the "current mess" in the opposition ranks. He said all was well in the 'Mahagathbandhan' - Bihar's Grand Alliance of JD-U, the RJD and the Congress led by him. "The Mahagathbandhan is intact... There is no issue now, it is all based on interpretation of the media." Nitish Kumar said the alliance was a result of a definite agenda which was endorsed by the people of Bihar and wasn't merely based on opposition unity. "It is our priority to implement the agenda of the Mahagathbandhan government." Nitish Kumar's remarks came a day after he had purportedly said during a party meeting that the Congress alone was to blame for the current mess in the opposition ranks. He had also attacked the party for not taking the JD-U into confidence for the Presidential polls. Nitish Kumar's JD-U was the first among the opposition parties to lend support to the NDA's Presidential candidate Ram Nath Kovind, a former Bihar Governor. "On Presidential election, different parties have their own opinions and thought processes, and they make their decisions accordingly. "The Presidential elections are being projected in such a manner that the farmers' issues have taken a back seat." Nitish Kumar said he had said earlier that the Congress was a big party and it had every right to set the agenda and inform all the opposition parties. "Opposition parties have to decide their role and they should start preparation for the 2019 Lok Sabha Polls. But the opposition needs an alternative narrative, just a reactive narrative wont work." The JD-U leader also said that opposition parties should be united at the national level. In a reply to a question, Nitish Kumar said he did not attend the GST unveiling in Parliament because he was not invited. "If I had got the invitation from the central government, I would have attended the GST meeting in Delhi." He said the Goods and Services Tax regime was a good system and he had supported it since the beginning. "Whatever issue is in the interest of the people and the country, I always support and always stand for it."